Bone pain is associated with aching or discomfort, as well as tenderness in one or more parts of the body that has bones. This type of pain is less common in comparison to joint and muscle pains. The cause of bone pains in a person varies, and it could be from fractures due to automobile or sports accidents, and could also be from diseases that had spread to the bones (e.g. cancer). Whatever the cause of the bone pain, it should be given prompt medical attention as it could cause other complications later. Otherwise known as Bacteraemia, this is an infection that is traced to originate in a person’s bloodstream. Harmful organisms or bacteria may form toxins in the blood. The result of this is blood poisoning, also known as septicemia. Sepsis affects not only the blood when it spreads, but also other parts in the body. One of the results would be bone pain. Aside from that, a patient may also experience low blood pressure, fevers, chills and malaise. Anyone experiencing this should immediately seek medical help. This is the inflammation of joints, thus causing pain to the affected person, and causing hindrance to normal locomotion as well. There are several hundred types of this joint inflammation. One of these is the osteoarthritis, an inflammation in the joint due to a super active immune system. This kind of ailment is one of the common in the US today. Arthritis induced bone pain could be a result of an injury or any abnormalities in the metabolism, rheumatoid arthritis, hereditary illnesses and many others. 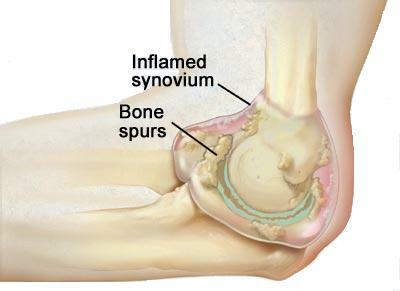 This disease affects the joints, ligaments, tendons, as well as the muscles of the person. Because of the swelling that occurs in those parts of the body, it limits the person to do some movements essential to daily life such as walking, running, etc. One of the causes of having bone pain is having bone trauma due to previous accidents or falls. These experiences more likely cause fractures and breakages which later causes pain to the bones. This is the deformation of the bone tissues, causing the bones to weaken, and experiencing bone pain is one of the symptoms of Paget’s disease. Its other term is the osteitis deformans. The cause of persons having Paget’s Disease is not yet known, and it is still under investigation by medical experts. One of the causes of having bone pain is leukemia. It is the overproduction of blood cells- particularly white blood cells in the body, and is another form of cancer. Later, when the disease develops, it will cause bone pain, as the disease targets the bone marrow as well. Bone pain arises from this sickness because of the tumors located in the bone that spreads to other parts of the body. Osteoporosis characterizes “porous bones”- bones that have obvious perforations when seen in bone scan. This is the result of lack of calcium, or the decline of bone density. This causes the bones to become weak and susceptible to breakdown, as well as fractures, spine curvature, as well as bone pain. This is one of the common types of ailments that is associated with the bone, and it affects more than 10 million people in the United States alone every year. Women are more susceptible to this bone disease, and most women affected by this ranges from age 35 above. Those having this condition experiences pain and tenderness in any parts of the body with bones- particularly the tendons, joints and muscles. When a person is affected with Fibromyalgia, he/she is prone to getting tired easily, getting depressed, having anxiety, difficulty in metabolism and movement of bowels. Fibromyalgia also affects sleep, thus people having it cannot sleep as comfortable as possible. Just like osteoporosis, it is the women who is more prone to having Fibromyalgia. There are yet more diseases that causes bone pain, or has bone pain as one of the symptoms. These diseases spread to the bones, particularly to the joints. Few examples of these are: hepatitis, scarlet fever, encephalitis, chicken pox, shingles, infectious mononucleosis, erythema infectiosum and many others. Bone pain should be given prompt medical attention, especially if the patient experiences swelling and tenderness to the bones. The doctor then takes note of the medical history of the patient along with a detailed physical examination- symptoms other than the bone pain, the location, and the pattern of the pain. This is also possible by conducting several tests such as bone scans, x-rays, urine and hormone level tests, MRI and CT scans, as well as the testing of the adrenal and pituitary gland levels.